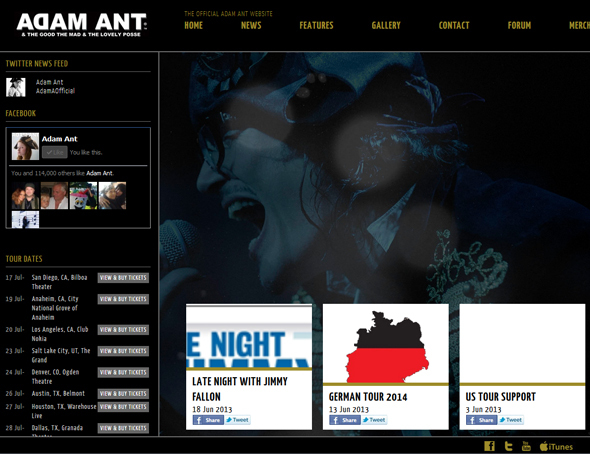 Following last year’s rocking tour, Adam Ant & the Good, the Mad and Lovely Posse will be returning to the United States supporting his first new studio album in 18 years, The Blueback Hussar in Marrying the Gunner’s Daughter, which was released earlier this year. Supporting the tour (on all dates except Hawaii and Buffalo), which is kicking off next month, are Los Angeles-based group Prima Donna. The tour is actually playing some of the best venues across the U.S., as I am familiar with many of them, so it should be an amazing collection of shows. I was fortunate enough to catch one of his gigs in San Francisco last year, which was amazing, and plan to catch up with the show at Ace of Spades in Sacramento and perhaps one or two more as well. 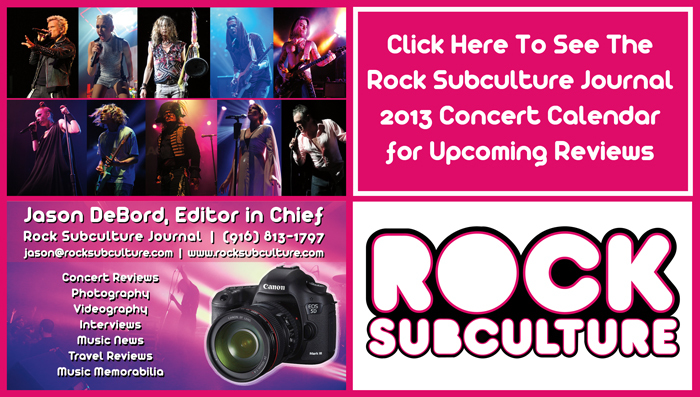 You can expect the Rock Subculture Journal to publish a review review and photos for any show attended.